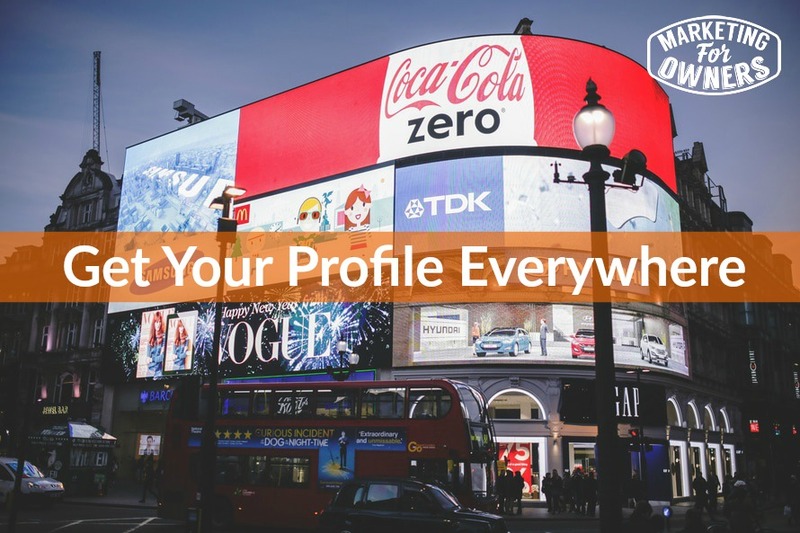 Today I want to encourage you to get your profile out there everywhere. It is not going to happen all on its own. 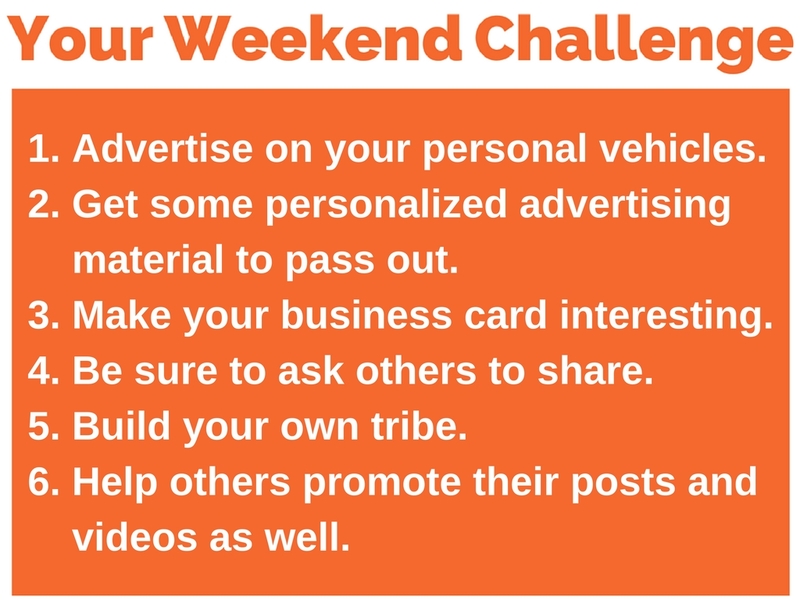 This is Friday and we usually have an interview, but today, I am sneaking in a weekend challenge for you. So — get your pad and pen and get ready to take some notes on how to get your profile out there everywhere. Now, the reason I say that you need to get your profile out there everywhere is because you are working hard at making those podcasts, videos, and blog posts and you think people may be listening, but quite often they are not. You have to put a lot of effort into it. So do not ignore the free stuff. 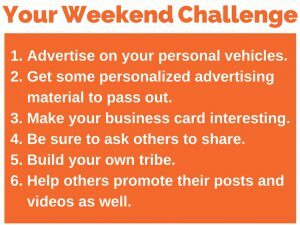 For instance, do you have free stickers on your car or cars promoting your website? Don’t add your facebook page and ask them to like you there. Simply put your website link and your phone number if you are local and let them look you up. There is no effort in that! These would be things like stickers, pens, coffee mugs, t-shirts, hats — those sorts of things and pass those out to potential customers. If you are going to do that, go to someone like Fiverr.com and have a t-shirt designer design a retro t-shirt that is funny or inspirational and interesting. Don’t put your logo and phone number on it! Instead of printing on just one side, why not print on both sides? Give them a free offer on the one side and all of the information on the other side. Be interesting and give them something different. Do you actually ask people to share your stuff? How about emailing people you know or messaging them and ask them to share your stuff. If you have a tribe, which is a group of like minded posts, and you can get enough people together, you will always have comments on your posts and you are helping others as well. Triber.com is a website that is geared toward this very thing and is a great place to start. If you want people to share your stuff, be sure and return the favor and share others stuff. And tell them once you have done it! They love to hear that you liked what you read and in return, they might do the same thing for you. I share all of this with you to remind you to promote what you are doing. Include other people and ask your followers to share your stuff. I will be back on Monday with more tips. Have a fabulous Labor Day weekend!